MAPUSA: Mapusa Municipal Council (MMC) Chairperson Ryan Braganza and other councillors inspected the Mapusa market area to take stock of the current issues and situation. The inspection on Saturday started at 11 am and ended at 1 pm. The vendors have been complaining that there has been no maintenance work taken up in the municipal market for a couple of years. The paint has faded off and the market was looking shabby. 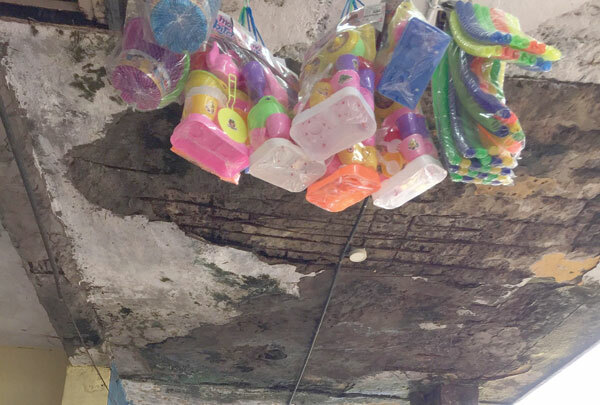 One can spot water leaking at several places in the market. Some portions of the market structure appear weak and may collapse at any time. The inspection was aimed at improving the condition of the municipal market. The first phase of the two-phase renovation works of the Mapusa market will be carried out at an estimated cost of Rs 20 crore. “The renovation and up gradation of the Mapusa market is the need of the hour. Electrical upkeep, re-plastering of walls, painting are few of the works that will be taken up as a part of this renovation job. The work is scheduled to be taken up after the monsoon,” Ryan informed. The councillors who were part of this visit included Franky Carvalho, Dipti Lanjekar, Kavita Arlekar and Sushant Harmalkar, who is also a member of the municipal market committee.